New York Painting Services is a full service painting contractor, providing services to the commercial and residential property owners of New York and New Jersey. 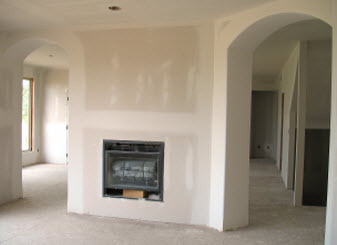 We are completely licensed and insured to offer our services and professional expertise at an affordable cost. New York Painting Services artisans are among the elite in the industry as they have extraordinary attributes and all the right credentials to perform any of the services we offer. 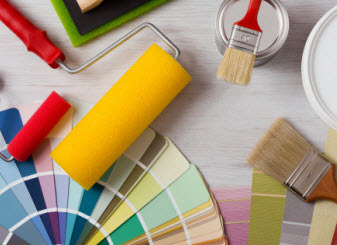 Using the high-end products, equipment, and materials exclusive to licensed professionals, we at New York Painting Services can ensure our valuable customers receive nothing less than superior quality on all the projects we take on. New York Painting Services is proud to have so many clients in our database that continue to use us for their painting and contracting needs as well as so many referrals; by simply extending courteous and friendly customer service, applying traditional values and standards to our remarkable end results, New York Painting Services has established a reputable name. 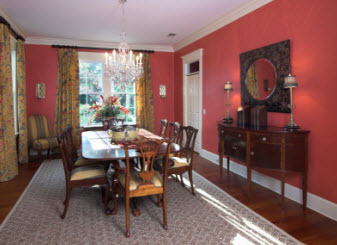 New York Painting Services helps many of the businesses and homes in New York and New Jersey achieving the interior design they desire through painting services as well as many others. New York Painting Services includes Scandinavian Interior Design and Painting options among the many interior design styles. The Scandinavian Design is characterized by simplicity, minimizing, and function that originated in the early 1950’s in five Nordic counties that include Denmark, Finland, Iceland, Norway, and Sweden as the term “Scandinavian” only references the three Kingdoms in that region; Denmark, Norway and Sweden. What is Scandinavian Style & Characteristics? Scandinavian with simple beauty and utility has a style that is pure, centered on warm functionality, understated elegance, and clean lines. Muted earthy tones, minimal ornamentation, and natural materials all bring the Scandinavian style to any home or business’s décor. Below you will find the basics that bring Scandinavian Decorating together. 1) Accessories: Clutter is not only avoided but in Scandinavian Interior Design would be an abomination. Accessories are kept to a minimum and serve a function, like a wall clock for example. 2) Paint Colors: White walls are frequently used in conjunction with cool gray and cool blue textiles to give off the right ambiance of the Scandinavian style. 3) Eco-friendly Aspects: Everything within the home or business is eco-friendly, triple-glazing, appropriate insulation for roofs and walls, appliances, and so on all bring the practical function but eco-friendly use. 4) Floors: Light wood floors throughout the building is typically found in Scandinavian styles; as wall to wall carpeting was never accepted and used little if at all. 5) Form: Clean lines are extremely prominent in Scandinavian Decor from the furniture to the architecture and everywhere in between. 6) Function: A true Scandinavian style is livable in every function and serves a purpose. 7) Furniture: Incredible pieces of furniture stem from Scandinavian origins and though simple and clean lines are a part of the style, there are many beautiful and charming pieces. 8) Materials: Wood is the material used in Scandinavian style above all else, but natural materials are ideal. Adding the wooden surfaces to the ceilings and walls not only create texture and warmth but adding the grey oil to neutralize the yellow or utilizing pine or oak accentuates the charm. Other Considerations: If you are constructing a home or even a business, a few things to consider for Scandinavian styles include fireplaces and beautiful outside-inside room additions are incredible. 9) Corner fireplace: Considering that the winters in the Scandinavian kingdoms are harsh, the fireplaces are out of the way in the corners, not only does the function serve its purpose, but the added charm is refined and elegant. 10) Add an outside/inside room: Connecting the outdoors to the structure is frequent in Scandinavian designs; balconies, terraces are even included in on apartments in classic Scandinavian architect. Hosting BBQs and late night events on a partially built up deck for example, extends the Scandinavian style outside. When getting your New York or New Jersey home or business set in Scandinavian Interior Design style, contact New York Painting Services for our many services that can include many of the details to achieve your goal. Call New York Painting Services today to get started!